Custom windows .NET application development for web and desktop. "Thank's to Ready4S for very professional cooperation. It was really easy and nice to work with you. !" UAFA: "UAFA, another of our trusted client wanted us to build a football informatic app where users are available to grasp knowledge about UAE teams, players , coaches, matches and everything in the scope po..."
"Great to work with the team at Synergo Group. Very hands on and genuinely seem to care about the project and also great in guiding us on how to improve our platform from a user & functionali..."
Our experienced team can develop Windows Phone apps. Mac OS X: Cocoa mostly in Objective-C. Kernel written in C. Windows: C, C++, C#. Mac OS X uses large amounts of C++ inside some libraries. Sodexo: "Mobile application created on demand by one of the main players on the motivational, dietary and property services market - Sodexo company." SoftProdigy has team of skilled experts who focus on building high-quality Xamarin apps, with focus on publishing on Windows mobile, along with other popular mobile platforms. The Universal Windows Platform (UWP) lets you build apps for any Windows device—PCs, phones, Xbox One, HoloLens, and more—and publish them to the Store. Windows was created by Microsoft in 2010. With the smartphone revolution, Microsoft decided to create an OS for mobile devices that has evolved over the years and changed names several times: Windows Phone, Windows Mobile, Windows 10 Mobile. Windows Store is the platform where all the Windows apps can be downloaded. Windows Store is a merge of Windows Phone Store, Xbox video and Xbox Music. All Windows apps must be curated and certified by Microsoft’s app store. The success of Android and iOS has reduced Windows’ market share to 1.1%, but Microsoft still keeps supporting their latest OS, Windows 10 Mobile. This OS still has access to the Windows Store, a shared app store by all Windows OS, including desktop, where Windows apps (around 700.000) are available for download and purchase. The largest categories on the Windows Store are: Games, Entertainment, Books and Reference and Education. Windows apps are developed exclusively for Windows Phones. Windows apps are also a good choice if you are looking for an application compatible with Windows desktop and the Xbox. There are other mobile devices that use Windows apps, like the Microsoft Surface. 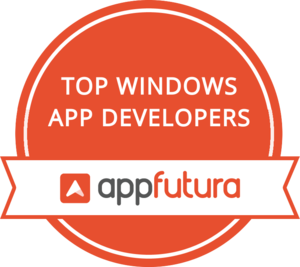 The best Windows app developers in the world can be found in this Windows development directory. Take a look at the reviews on each profile, which have been thoroughly validated by our team, and work with your developer of choice from the safety of our escrow payment system.